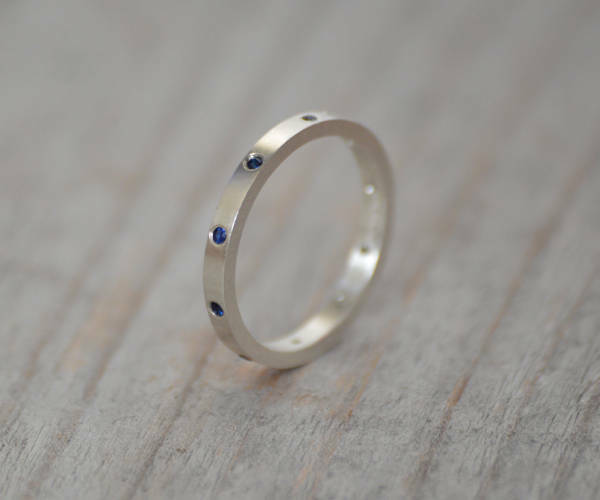 This sapphire eternity ring features 10 sapphires around the band. 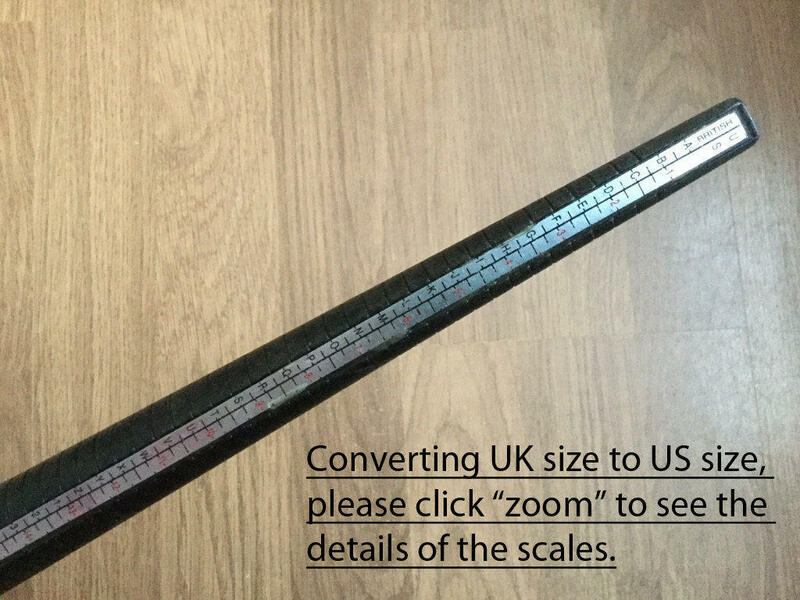 It's handmade at my studio in the UK. This comes with a classic ring box and is ready to gift. 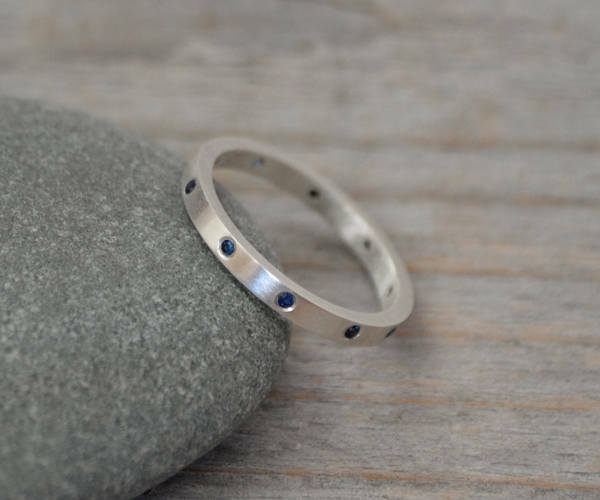 The sapphire eternity ring symbolizes endless love, and would make the perfect gift for a special anniversary or indeed as a wedding band in its own right. 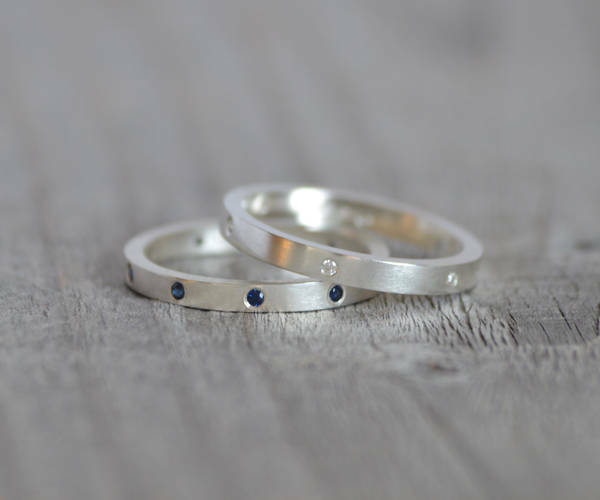 Gemstones: sapphire x 10 as shown, also available with g/vs diamonds or black diamonds, please choose from drop down menu. 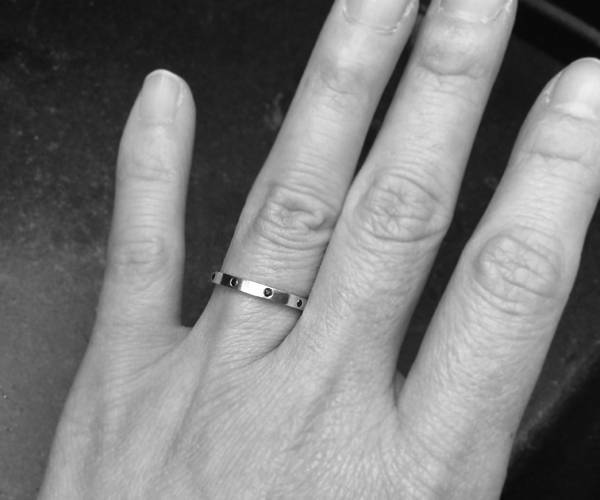 This ring is nickel free and not resizable. 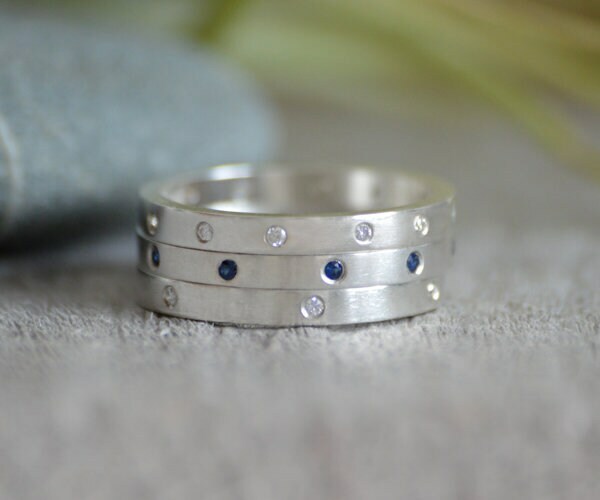 Also available with different quanity of gemstones. Please contact me for details. 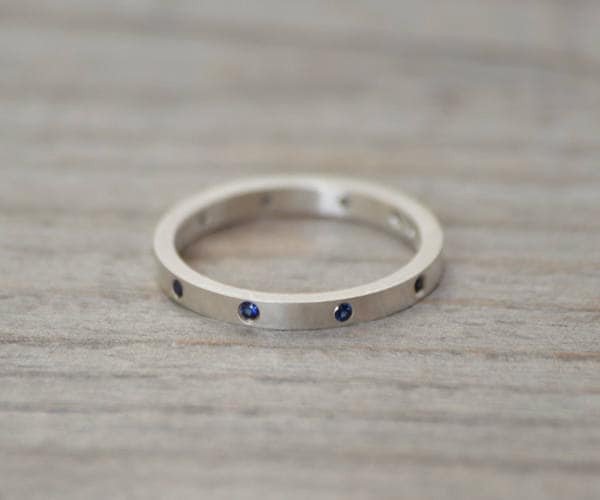 I love the ring, it looks IRL the same as on the picture; sapphires shine with blue color under the sun, so beautiful. And gift wrap is lovely! Thank you!